New York, NY – December 17, 2015. IMG GlobalSecur (http://www.theimg.com/), a leading international security consulting firm, has announced the launch of a specific informational page on FoneTrac as a travel security app. FoneTrac allows employers and employees as well as other types of travelers (e.g., study abroad students and universities) to communicate traveler whereabouts, facilitate checkins, push out security updates, and access on-the-ground support services in an emergency. To view the page specific to FoneTrac’s features and benefits as a travel security app, please visit https://www.fonetrac-go.com/travel-security. There, one can also click the ‘contact’ button and request a demo or free trial of the travel security app. 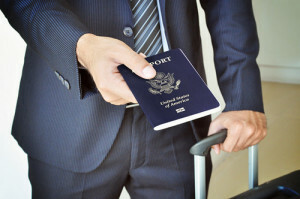 To learn more about travel security visit http://www.globalsecur.com and also the Incident Management Group http://www.theimg.com for information about and IMG security consulting services as a whole. The new informational page outlines the features and benefits of the security app, which is focused not so much on single users but on corporate or organizational deployments. An ideal situation, for example, is a USA-based corporation with employees and executives traveling in countries as diverse as the United Kingdom, Spain, Saudia Arabia, or Indonesia. Those employees would be able to automatically check in with the corporate headquarters. The app is compatible with both iPhone and Android, making it agnostic as to the phone an employee prefers. In addition, it has the unique feature of real human support: it connects with live help for travel security updates and is also keyed into medical security updates. It can also be connected to local resources, such as police, fire, and medical.